Communication is easier in companies of all sizes. 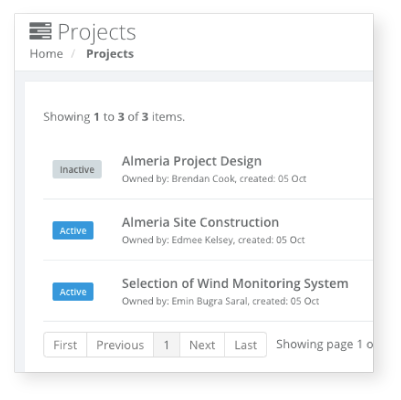 Our sophisticated project management tool has all the right features for on-time completion of your renewable energy projects. Get alerts straight to your inbox. Stay on top of tasks, compliance obligations, and events to make sure that everything gets done on time. You’ll get notified of items that you are responsible for and items that have been updated. You can also click the follow button to get notified of certain items in BluePoint. BluePoint is translated to 10 languages for your convenience. We will help teams of all sizes collaborate more comfortably and efficiently. Design your own internal knowledge base so that your team can document business processes and set standards for activities in BluePoint.